other Americans who may be disabled, retired, or looking for work. 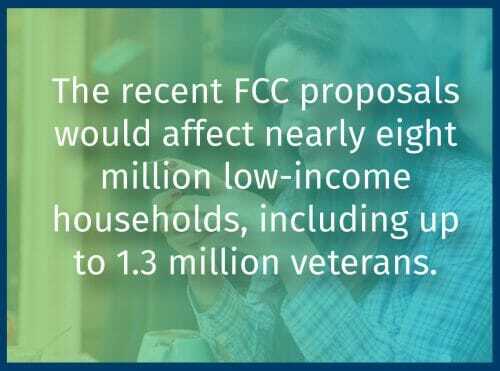 Recent FCC proposals are seeking devastating changes to the Lifeline program. Share this page to raise awareness about who Lifeline helps and to support the continuation of the program. Are retired or disabled and unable to work. Are unemployed and looking for work. Are employed on at least a part time basis. Because I can’t afford normal service, being in the Lifeline program allows me to talk to my doctor and my child’s doctor. Why Is National Lifeline Awareness Important? The FCC threatens the future of Lifeline by proposing changes that impede resellers ability to provide telecommunication services, and ultimately harm the participants who rely on this program. 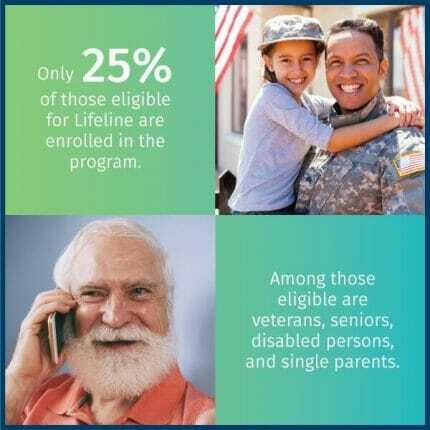 The Lifeline program helps participants connect to job opportunities, health care, education, and emergency services using 21st century technology. In addition to spreading Lifeline awareness through social sharing, you can also stay up to date by becoming a member (FREE) or contribute to the fight to save Lifeline.